Now you can keep New Orleans' Haunted History alive in your home. 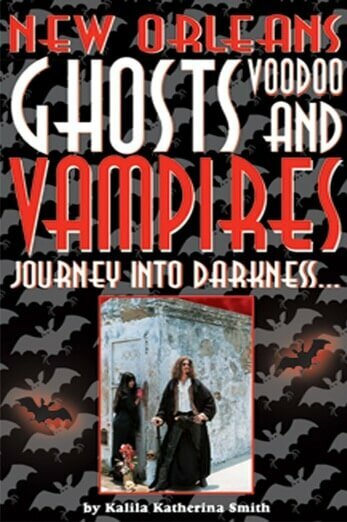 This is the one and only collection of the best of New Orleans Ghosts, Vampires and Voodoo. Inside you'll find more information about the sites featured on our New Orleans ghost and vampire tours, lists of the best haunted bars and hotels in the French Quarter and more information about New Orleans ghosts, vampires and the paranormal than can be told in two and a half hours. It also contains exclusive photos of actual entities. Written by Kalila Smith, this book contains the latest research from the Haunted History investigative team and is a "must have" for those who "hunger" for more information about the spirits that keep our city alive. This is the 7th edition with new stories and an entire section on New Orleans Voodoo!